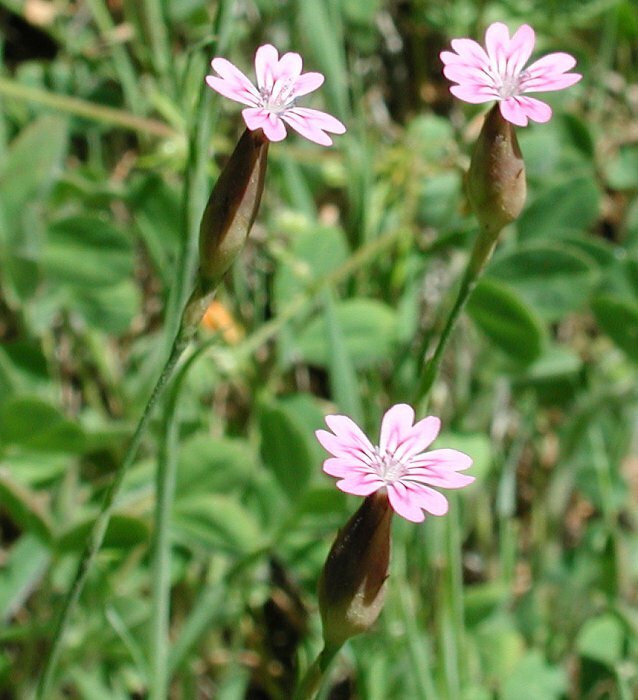 Mid Bloomer Tiny pink flowers, 5 petals on leafless, erect stem, petals have ‘pinked’ edges. Notes: Pink family. 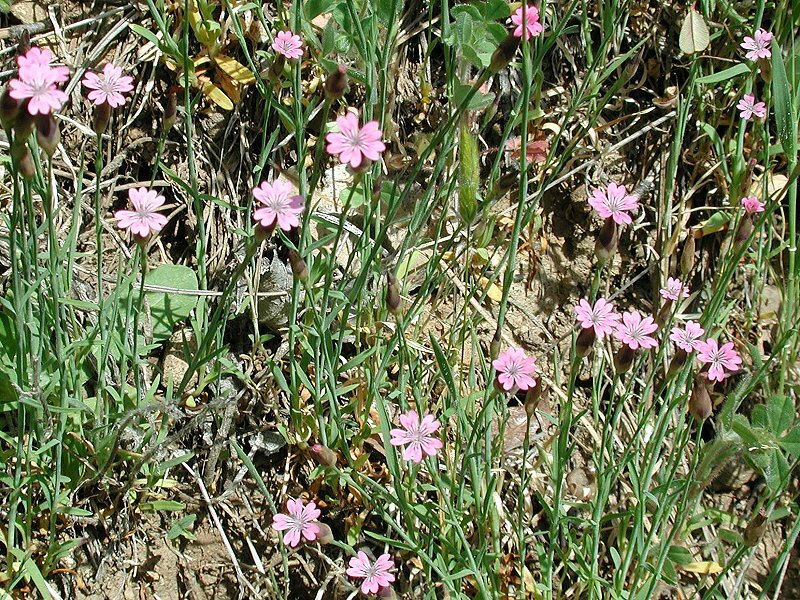 Also called Grass Pink Delicate florescent-pink flowers perched atop a single, wiry 4" to 24" stem. Pinks are so named for their notched or ‘pinked’ petals, creating a somewhat heart-shape. P.Dubia is from southern Europe. It occurs in open, disturbed areas. Petrorhagia means ‘rock fissure’ in reference to some of the species (not ours). Formerly called Kohlrauschia velutina.